The European sea bass is an important high value quarry to the UK commercial fishing industry, with more than 100,000 tonnes of bass being farmed abroad each year, at a total first sale value of around £4.5 million. But are the UK’s commercial fishermen, dubbed the “last remaining hunter gatherers” by industry body Seafish, getting a raw deal? Ever-tightening sustainability legislation increasingly seems to want to tighten the net around their working practices, limiting where, when, and how they can fish, and making it harder than ever to land a good catch. The UK commercial fishing industry is one of the country’s most profitable home grown industries, and a working commercial fisherman can be proud of holding the dubious title of most hazardous working occupation in Britain today. Total value landings of commercial fleets in the UK total £770 million yearly, but this is just the tip of the iceberg. The fishing industry supports well over 20,000 UK jobs, in all manner of related industries, providing a serious boost to the economy, and ensuring British employment opportunities and livelihoods. Commercial sea bass anglers often risk their lives to land highly profitable bass catches, with much of their revenue coming from supplying high end restaurants with this popular seafood dish. Bass has grown exponentially in popularity as a seafood delicacy since the 1970’s, when the dish first began to grow in demand, and since then, the average total weight landed annually in the UK has grown to over 897 tonnes. Commercial sea bass fisheries developed at an extremely rapid rate throughout the 70’s and 80’s, due mainly to the high first sale price the species could command, and they have been growing steadily ever since with no sign of declining. The fish is largely caught along the open coastline and in estuaries using small boats, and fishermen utilize a variety of fishing methods, such as long lines, trolling, or by using trawls. 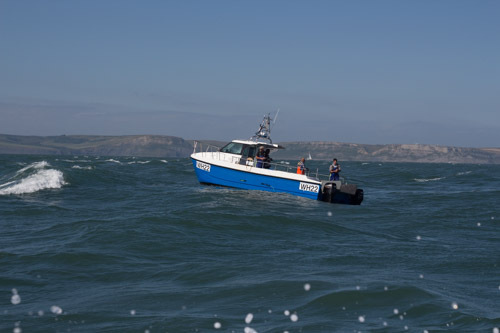 Prime catch season along the western English Channel and the Bay of Biscay takes place between the months of November to April, when large numbers of sea bass shoal offshore prior to spawning. Bass is big business, but government legislation has been hot on its heels, with the introduction in 1990 of a minimum landing size of 36 cm, made mandatory by UK government legislation. This piece of legislation was among a raft of measures which were drafted in with the aim of protecting sea bass stocks and preventing over fishing of the species, and the measures also claim to ensure a better quality of catches. 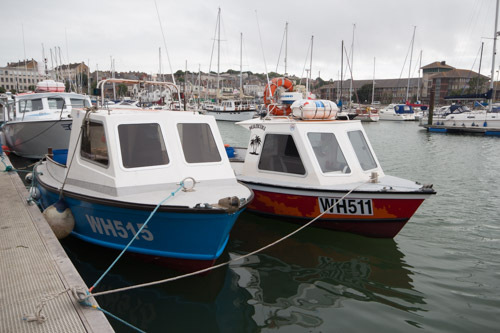 There’s also a landing limit on how much bass by the tonne can actually be brought in, with the figure currently residing at 5 tonnes per boat per week for all UK and French vessels trawling of British coastal waters. 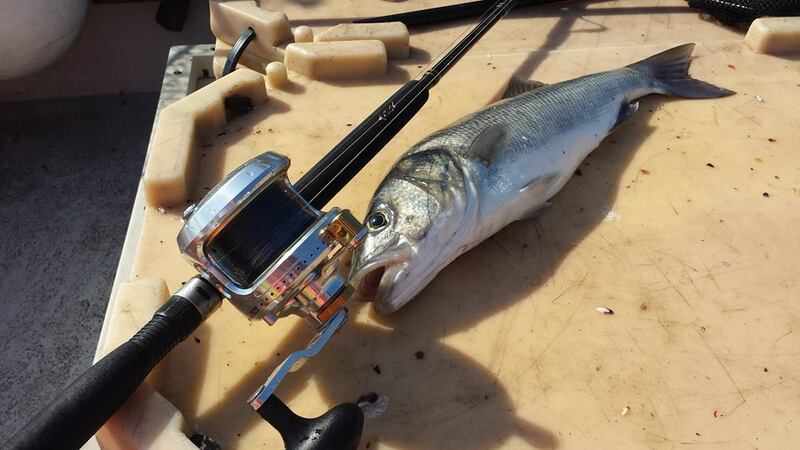 Further recommendations are currently proposed for more limiting legislation by various international and EU scientific bodies, and clamours from the recreational angling sector that the quality and weight of the average bass catch is in serious decline has only fuelled the argument for tighter controls. But is it accurate to paint the picture that sea bass fishing needs more, not less legislation, and are commercial fishermen the ones who risk winding up being short changed by the fevered clamours for stricter monitoring? For their part, the commercial sector is recognizing that they must play their part in conserving marine species, and has responded accordingly by adapting fishing methods to comply with UK and EU government regulations. But despite bending over backwards to appease government watchdogs, commercial fisheries have seemingly not been cut much slack at all, incurring ever-stricter monitoring and penalties for infringement, along with spiralling taxation. To look at some sectors within the industry, the sea bass industry notably one of them, it can seem as if the more money fisheries generate for the UK economy, the more they seem to be penalized for it, either by taxation, or the ever present threat of increasing legislation, something which would surely never occur within the financial sector for example, or big business. And while organisations such as DEFRA do get a lot right, especially when it comes to the important task of preserving our marine species, they can also misfire spectacularly, which is why more grassroots industry figureheads are needed in order to give the view of the average hardworking, but often maligned commercial fisherman to these governmental bodies. Worth it. Preserving life – Why don’t we?